We have had more than our fair share of snow here in New England and everyone is getting quite tired of digging out after the weekly snow storm. The most recent one was two days ago. 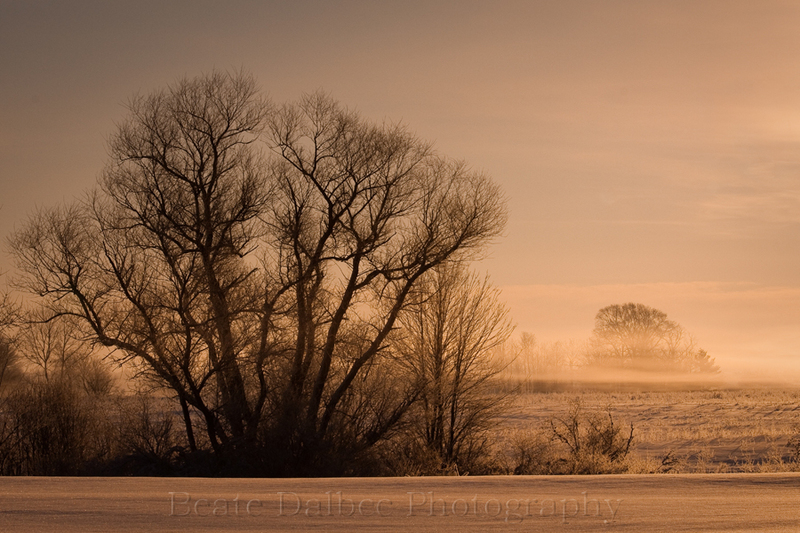 This morning I got up early in the hope to catch some nice light after this past snowfall. I did not get disappointed. 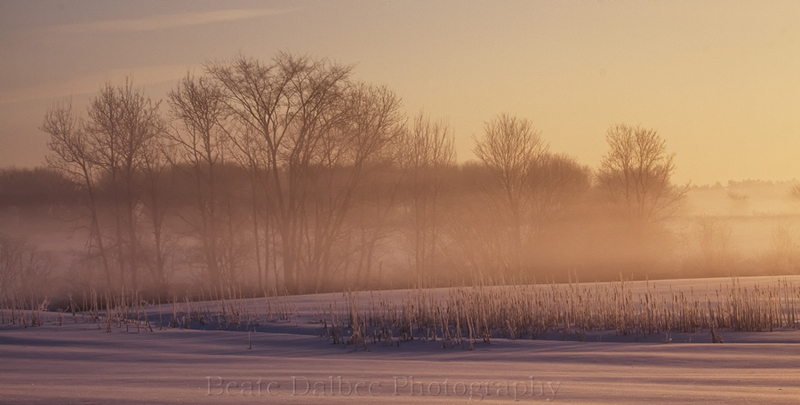 Morning fog lingered over the field, bathed in beautiful warm light. Moments like these let me forget about the cold and make my heart beat just a bit faster. Looking at this chills me to the bone. But only long enough to get my snowboarding gear on. It is very beautiful Beate! Your weather looks about the same as it is here in Ottawa. We are about to enter a really cold spell I think. Thanks, Maureen. I’m afraid you are sending the cold spell in this direction afterward. I love morning light especially in the winter because you don’t have to get up at 4am to catch it. These two images look almost magical with the fog. Lovely, Beate!